Editor’s Note: This article was published in a previous edition of the Kaiserslautern American and the information has been updated to reflect this year’s event. Germany’s fifth season called “Fastnacht” or “Fasching” starts Feb. 28 and continues through March 5 with masquerade balls, dances, children’s parties and funny sessions. 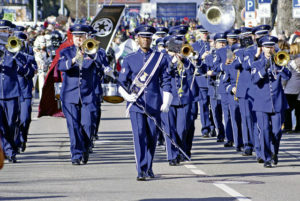 A special Fasching highlight are the Rose Monday parades. The most famous ones are those leading through the main Fasching cities of Mainz, Koeln and Duesseldorf. Spectators from Germany and throughout Europe come to these cities to watch the annual spectacle with decorated floats, bands, dancing and marching groups. Participants in vehicles throw out candy or hand out drinks to the crowds along the streets. It is traditional for revelers to sing, sway and dance during the five-hour parades which all start at 11:11 a.m. The day is called Rose Monday because the organization committee of the Koeln parade, which was founded in 1824, had its general membership meetings on Monday after the so-called Rose Sunday, also known as mid-lent Sunday or Laetare Sunday. Originally this day was the third Sunday before Easter. Since the eleventh century, the Pope dedicated a Golden Rose to a deserved personality that day. Since 1830, the day was called Rose Monday. A Fasching carnival with rides and booths will take place Saturday through Tuesday near Stiftskirche. In most German states, children don’t have school Shrove Tuesday. And usually, people who work take off in the early afternoon. In most cases, employers allow them to do so, and stores, banks and official institutions close anyhow at 1 or 2 p.m. Tuesday. 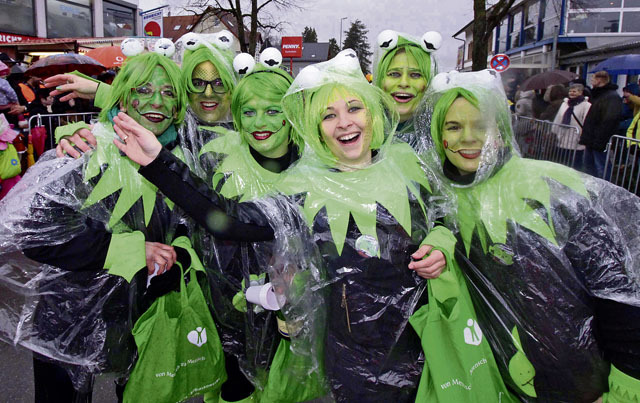 “We expect to welcome more than 1,000 participants joining our 68th parade on Shrove Tuesday,” said Hartmut Schaeffner, chief of the parade committee. Eleven carnival associations, 15 floats and 40 walking groups will start the parade at 2 p.m.
More than 50,000 promoting items to include candies will be tossed to spectators along the 2.4 km route. Food and beverage booths will be set up. To be able to finance each year’s parade, vendors will be out in the streets selling parade buttons for €2 to spectators. These buttons grant free admission to the Fasching party, which takes place after the parade at the Haus des Bürgers. Tuesday, the center of Ramstein-Miesenbach and Bahnhofstrasse will be closed to motorized vehicles from noon to 8 p.m.
Ash Wednesday will end the crazy season. Carnival association members and party-goers meet one more time for their traditional “Heringsessen,” the eating of herring. The herring is supposed to help ease hangovers. Also on Ash Wednesday, Lent, a 40-day fasting period for Roman Catholics starts.